Every person or client I speak to wants to know how to they get rid of their belly fat, how can they define their abdominal muscles ??? 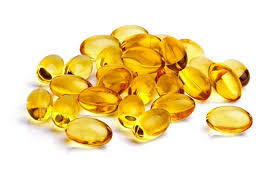 Well a quick tip is to supplement with Fish Oils, Fish oil is a fantastic supplement with many benefits, I have listed some of the reasons you should use fish oils in your diet. Why you should supplement with Fish Oil ? A clients umbilical (belly fat) reading is reflection of long term exposure to cortisol. Cortisol exposure can be blunted by using fish oil, using a high dosage of fish oil can help reduce body fat quickly. Here is what you can expect with in the first few weeks of supplementation with Fish Oil. All functions improve: sleep, cognition etc..
Mindset and compliance are set up for dietary changes. You will see a significant reduction in cortisol. The reduction in cortisol directly correlated with reduction in body fat, also the reduction in cortisol also directly correlated with increase in fat-free mass. Fish Oil helps blunt cortisol release when exposed to stress. Fish Oil helps heal the gut which helps with an increase in Serotonin release. Fish Oil can help reduce inflammation, Its known that Inflammation increases cortisol production that leads to disruption of proper cell function and signalling. Inflamed bodies will lead to your body storing fat easily, so if your body is inflamed your likely to be overweight, vice versa if your over weight your likely to be inflamed. Also if your body is inflamed you body is more easily able to signal muscle destruction (breakdown). Fish oil in known to help boost brain function. Research has also shown that unhealthy cell membranes contribute to cortisol resistance and elevated cortisol that remains in the blood causes increased secretion of cortisol. This information was taken from the Charles Poliquin Biosignature Course February, 2012.